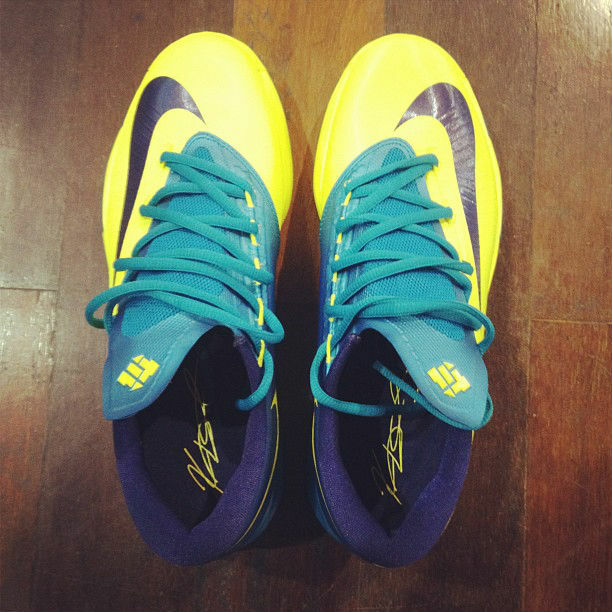 After going with a high cut for the KD V, Kevin Durant's signature line will be lower than ever when the Nike KD VI launches this summer. 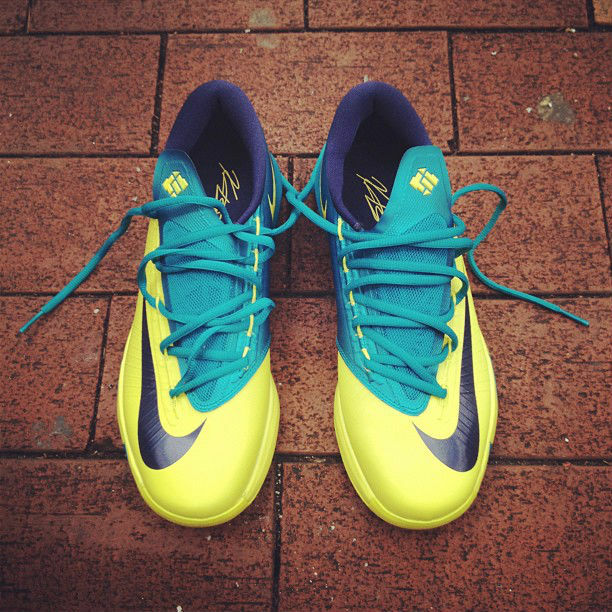 The KD VI sports a super low-cut that reminds us and a lot of our readers of a soccer boot. 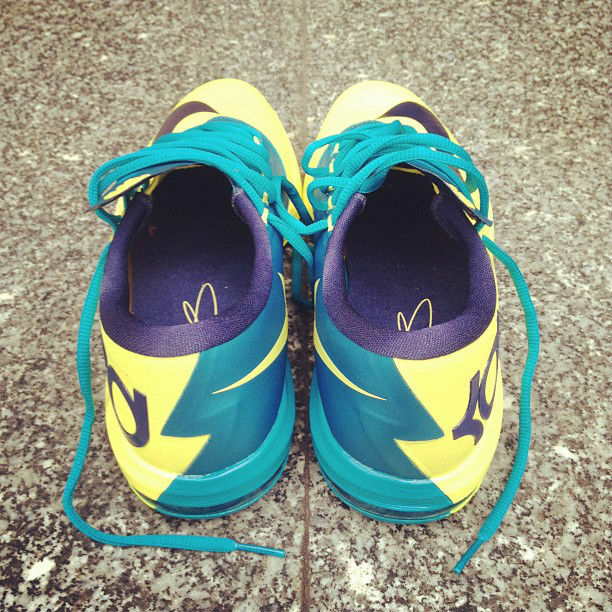 Tech features include Flywire support, a unique lacing system, Phylon midsole, forefoot Zoom, 180 Air bag in the heel and redesigned traction. 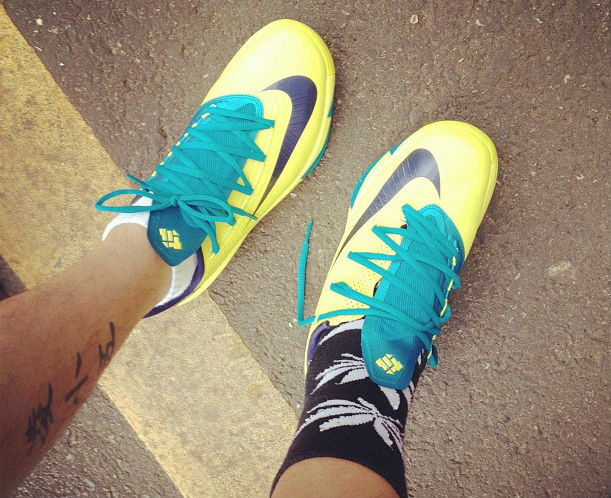 Looking to break up the fall cluster a bit, Nike has pushed the KD VI launch up to this July. 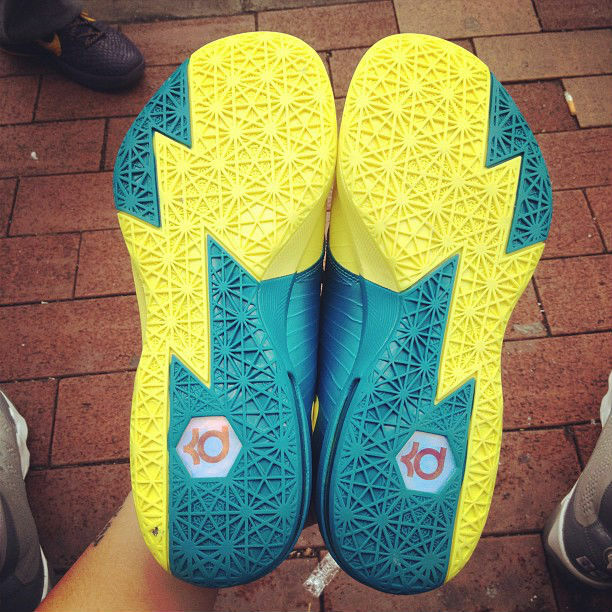 First, you'll see energy colorways like the yellow-based pair pictured here, with OKC and other in-season styles to follow later in the year. As for the pricing — long gone are the days of the $100 or less KD contract clause myth. 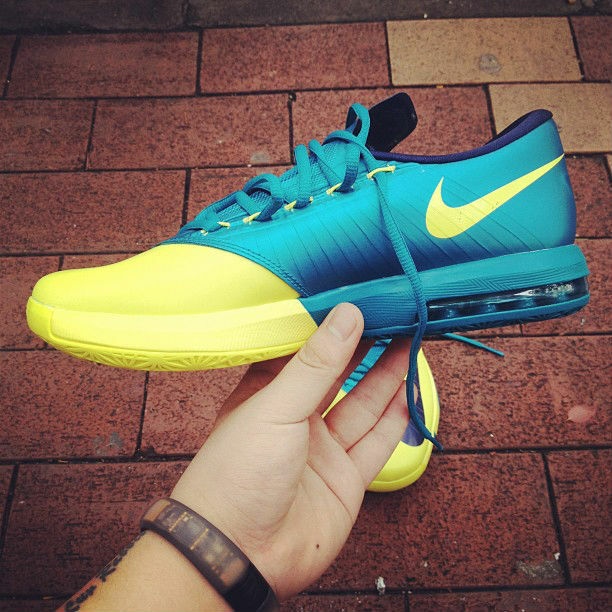 After last season's bump from $95 to $115, the KD VI is being tagged at $130. In fact, your gradeschool model is now $100, marking a pretty steep change in just a few years. 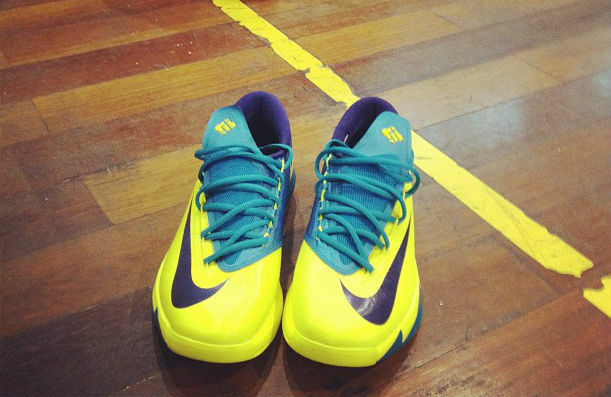 This yellow colorway of the KD VI, accented by teal and navy hits, is set to release on Wednesday, July 3 for $130. As you can see, sizes will run down to toddler. Some of the details can change leading up to the launch, but per the information we have, this is what you can expect this summer. 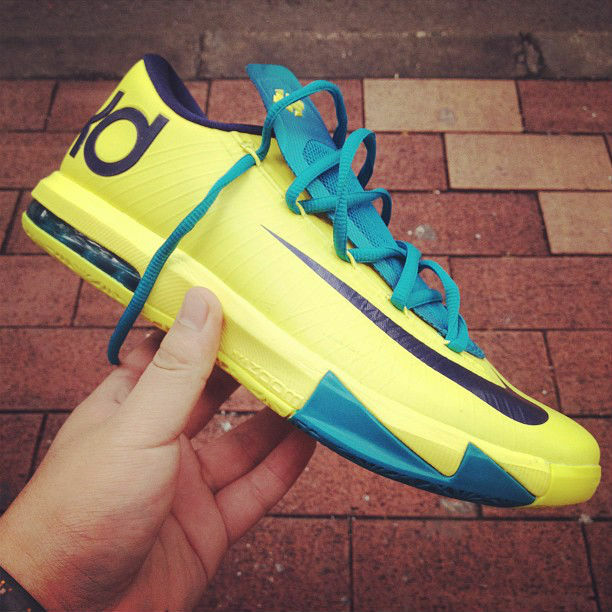 So, now that you've seen the shoe and know a little more about the release details, let us know what you think of the upcoming KD VI.